Security4Transit offers two ranges of single use products. Lightweight, durable, high impact, puncture resistant plastic that can be recycled. SAFE2SEND™ satchels can be purchased as stock items in three sizes and can also be customised to specific requirements. 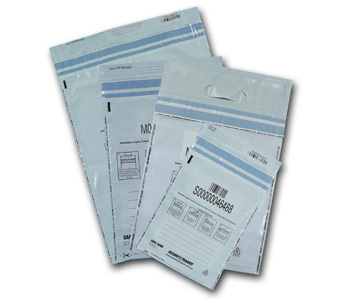 These single trip courier bags are manufactured in opaque polyethylene to ensure privacy. They are lightweight, durable, puncture resistant and can be recycled. OTUS satchels have a permanent self sealing closure, a writable surface for recording addresses and contents, and are Australia Post approved. 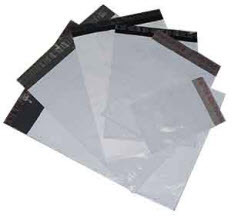 They come in six different sizes and are a water proof alterative to paper envelopes. OTUS satchels can be purchased as stock items and can also be customised to specific requirements.